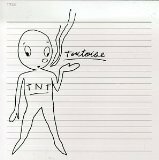 Musically and technically as clinically executed as anything produced by the German masters, Can, Tortoise add a modern twist to the classical minimalist/jazz & prog-Canterbury genres. Despite the albums fusing of a multitude of influences – Miles Davis, Soft Machine, Steve Reich, Ennio Morricone – there is enough rhythmic experimentation by way of funk, dub and even Caribbean timbres that give the music on this record a wonderfully flowing and distinct richness. This visionary work (alongside Captain Beefheart and the Velvet Underground), virtually invented what was to become the punk aesthetic. 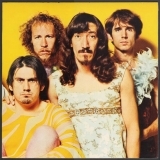 Frank Zappa’s cynicism and cutting wit is evident throughout the album. 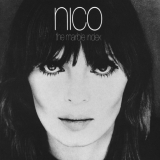 This, the third masterpiece of his psychedelic trilogy, is similar in structure to his first two, but this is possibly his most accomplished. Here he uses the collage of parody with added brilliant technical expertise. The album is the musical equivalent of a Burroughs novel – each cut-and paste piece while seemingly fragmented, are in fact welded into a seamless narrative continuity. 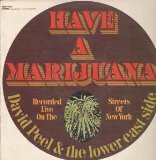 David Peel’s contribution to the counter-culture of the 1960s is a significant but under-recognized one. The punk aesthetics of the late 1970s can probably be traced back to the ramshackle street busking-style approach of Peel and his fellow travelling minstrels who utilize folk agit-prop and Fugs-style satire to comment on the social issues of their day. There is a wonderful organic sense of authenticity, albeit simplicity, in Peel’s art. His lyrics are deceptively clever, the spartan hillbilly hoedown nature of the music, story-telling and comedy skits fresh, and his the use of the streets of New York’s Lower East Side, an innovation. Politically and socially, the contemporary occupy movement can arguably be traced back to Peel’s street “happenings”. 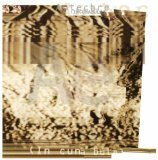 With Incunabula, the Manchester duo Autechre created a distinctive form of postmodern electronic music that was a far more organically sophisticated and carefully calibrated version of the standard techno/chill-out music of the period. The duos rhythms are akin to an intricate and meticulous ‘design in sound’ that skilfully bridge a number of related genres. These include synth-pop, Indian classical music, minimalism, ambient music, the electronic pop sensibilities of Kraftwerk and the transcendental psychedelic explorations of Tangerine Dream. Unlike Drake’s previous two releases, the style of Pink Moon is stark, minimal and radical. The album appears to be the result of an increased existential anguish. Drake’s stories are desolate and anchored in refrains of solitude and obsession. The album – a sleight collection of deeply personal songs – consists of a chilling but deeply moving combination of surreal rhymes and apocalyptic ballads. Drake’s songwriting is highly influential and his supreme soft and melancholic style of delivery has a universal and timeless quality to it. 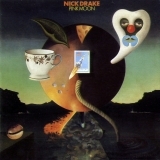 Pink Moon is Drake’s masterpiece. One of the most musically accomplished bands of their time (and of any time), Bardo Pond produced this brilliant album that comprises a maelstrom of guitar distortions and manic drumming underscored by repetitively brutal, cosmic and supersonic drones. The overall soundscape is one that merges the experimental post-rock of say, Sonic Youth, the acid jam of Grateful Dead, the electrifying powerhouse blues of the Stooges and the serene shoegazing of My Bloody Valentine. This is one of the key albums of the 1990s – it’s reputation grows with the passage of time. Tonight’s The Night is a solemn meditation on the pessimism of the 1970s that emerged from the idealism of the 1960s. This is a record of immense, but at the same time, subtle beauty borne out of loss and redemption. The warmth, humour and overriding sense of raw humanity and vulnerability depicted by Young’s rich lyricism, quirky vocals and the all-round brilliant but understated musicianship, touches the deep recesses of the psyche in a very profound way. This is arguably Neil Young’s most solidly consistent work from his most creatively fertile ‘Ditch trilogy’ period. This is a recording that will refuse to date because both the themes, raw poetic beauty of the lyrics and the quality of the musicianship are timeless. 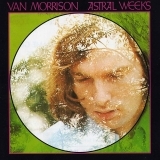 Recorded over the space of 12 hours, Astral Weeks is a beautifully unifying and ultimately brave work of art that merges jazz-rock elements, poetry and Morrison’s unique stream of consciousness vocal delivery. This, more than any other, is the album that I have been most drawn to over the last 37 years, having first listened to it as a 15 year old in 1977 when most of my friends were obsessing over the contemporary bands of the new wave. The sheer beauty of the music, and the timeless vivid imagery conjured up by the lyrics, are unmatched in the history of rock music. This album, probably more than any other, has been the soundtrack to my life. 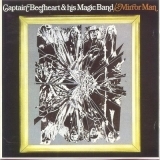 whoops sorry posted before I finished … was saying some great choices ( ‘ PInk Moon ‘, ‘ Tonights the Night ‘ , and ‘ Mirror Man ‘ which other than ‘ Doc at the Radar Station ‘ is the only Beefheart album I still possess at the age of 50 and I recall David Thomas saying was the only Magic Band album he really gets on with that much . ) – I’d choose ‘ Common One’ ,’ Veedon Fleece’ or ‘ No Guru , No Method , No Teacher ‘ myself out of Van Morrisons output .and though I possess two thirds of Zappa’s catalogue the ‘ qualities’ if one can refer to them as such – of ‘ We’re Only in it for the Money ‘ have eluded me for thirty years …. OK a few studiously hip lyrics that show he’s into what young people were talking about in California in 1967 and a cool Sgt Pepper spoof sleeve , ….but the music itself ? … uh yeah well maybe you had to be there . I mean once you’ve heard ‘ Bow Tie Daddy ‘ once why on earth would you ever feel the need to hear it again ? . To me this is the biggest dud in the mans principle ( pre death ) output along with ‘ Apostrophe ‘ and ‘ Waka Jawaka ‘ . . Thanks for your thoughts, Timothy – very interesting. There is much merit in your comment. That’s the great thing about music, its so subjective. I’ll be posting part 2 in a few hours. 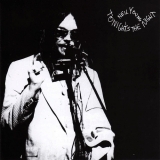 final comment … as much of a Neil Young obsessive as I am …and as fond as I am of it – there’s a great Pitchfork review of ‘ Tonights the Night ‘ which accuratley describes it as often the sound of a bunch of raucous knuckleheads having the time of their life . You have to come this record expecting something a little different from the rest of Neil’s output . It’s described as ‘ dark ‘ but that’s more a comment on it’s lyrical themes …..’ Freedom ‘ by comparison is really musically dark and ‘ Tonight ‘ lacks the pensiveness might one say of the man’s most penetrating work . I still kind of wish we could have had ‘ Everyone Knows this is Nowhere ‘ re recorded by the Neil of 1990 . Ahh.Dreams ! I was fortunate to have seen Neil in Paris as part of his current tour. It was a brilliant show. We didn’t get Revolution Blues but I guess you can’t have everything.